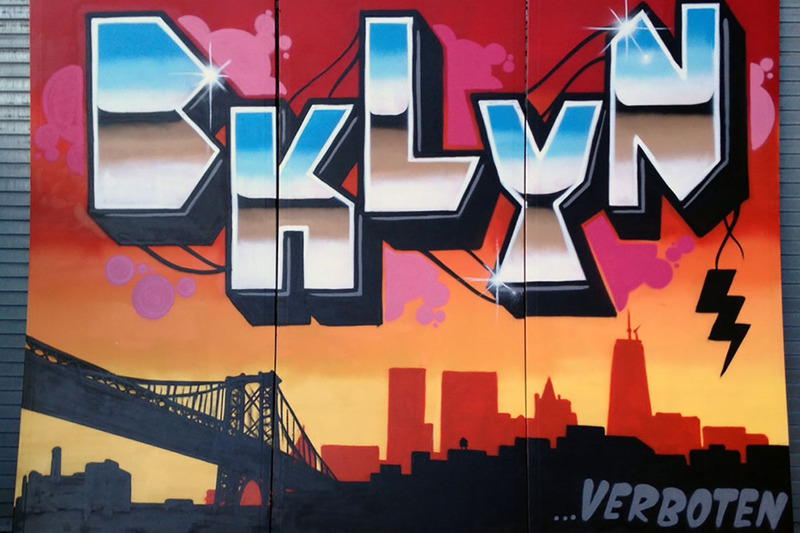 From the moment the earliest graffiti movement made its way from Philadelphia to New York City, back in the late 1960s and early 1970s, Brooklyn was one of the city’s key neighborhoods for further development of its turbulent history. 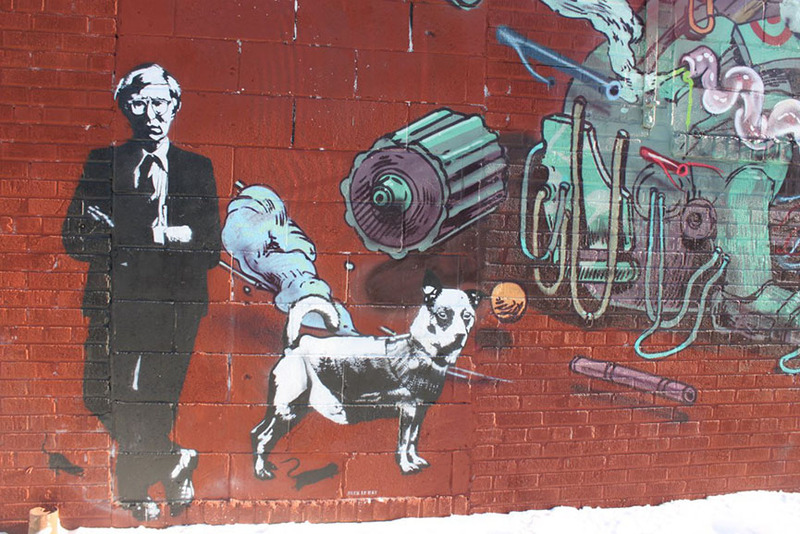 When in 1971, the New York Times first published an article on one of the writers, TAKI 183, who was motion-tagging the Washington Heights section of Manhattan, it was clear that the city was being taken over by a new form of art/vandalism, and the early Brooklyn graffiti writers followed closely, through the works of Friendly Freddie, for instance. 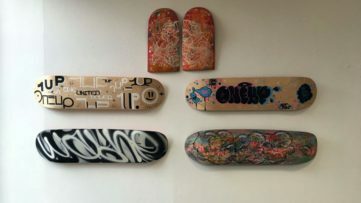 Although the two movements were growing separately, they were interconnected through the New York City subway system, a true battlefield of graffiti writers back in the day and a place where it all started. 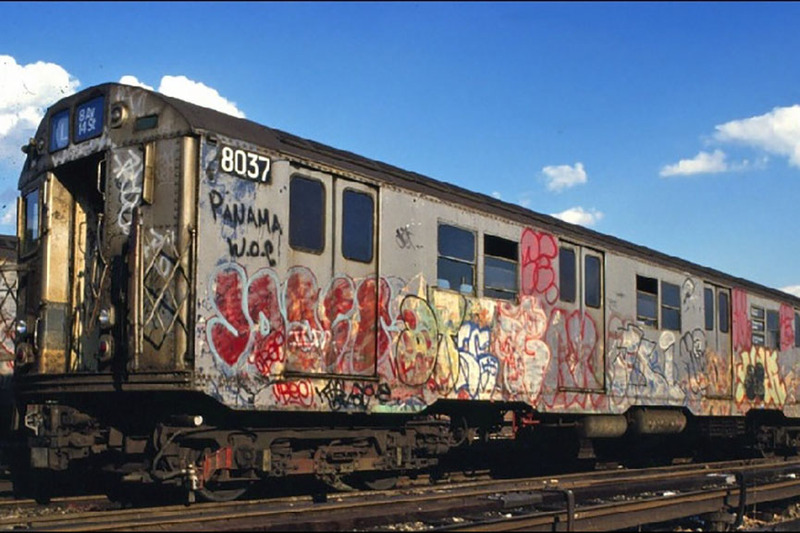 With many graffiti writers came new writing styles and variations in tag scale, with artists like Super Kool 223 from the Bronx and WAP from Brooklyn graffiti scene leading the way in creating “masterpieces” – graffiti pieces covering entire train cars of the subway system. 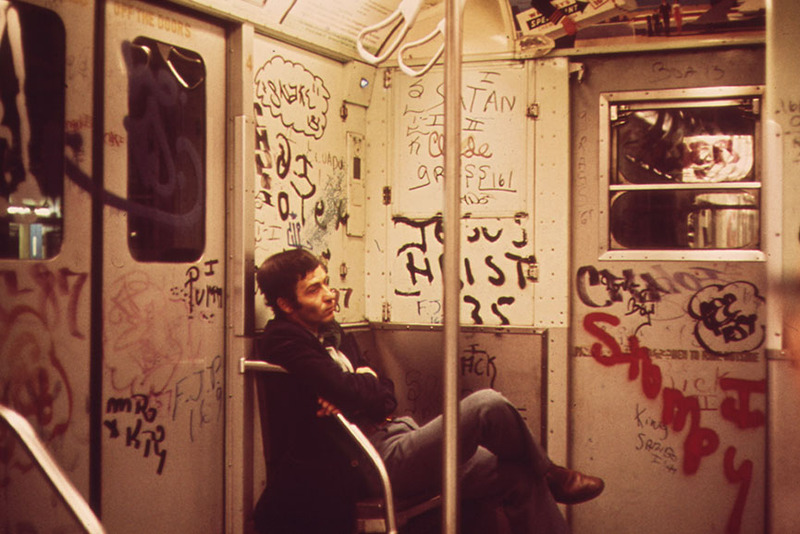 In the years to follow, the subway system graffiti movement blossomed, with train yards being located in Brooklyn, but it all lasted only until the early 1980s, when the city decided to take over control through its anti-graffiti budget, wire fences and guarded lay-ups and graffiti removals. 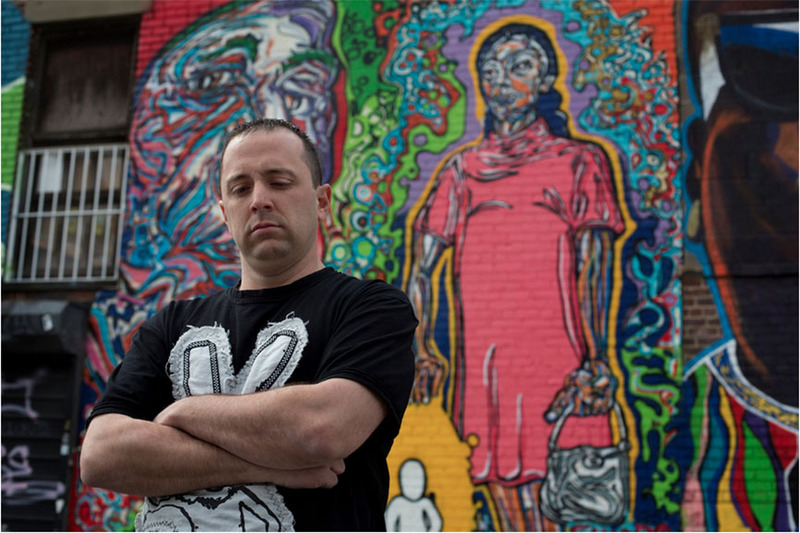 This subsequently led to the Clean Train movement starting in 1989 and the expansion of the NYC street culture in Europe. 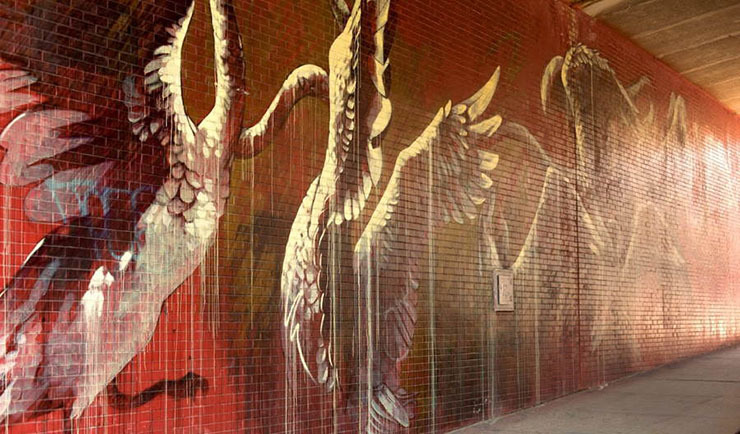 With subway being the forbidden territory, the writers moved up on the surface, painting the streets, and from those days up until today, one of the most versatile grounds is the Brooklyn graffiti scene. 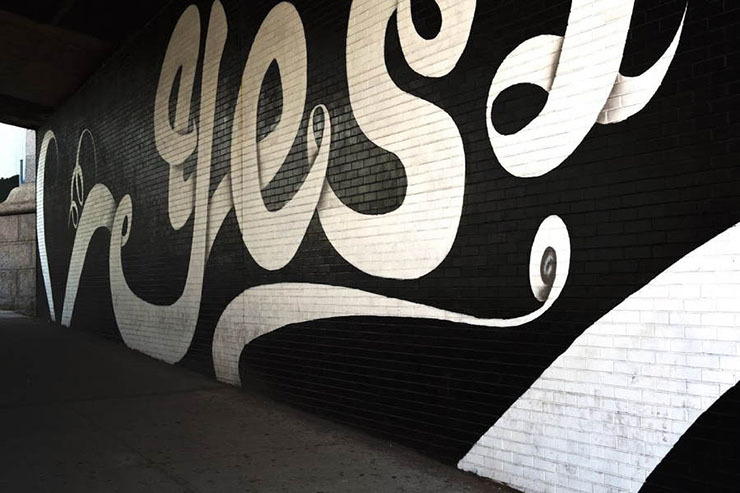 Much of today’s graffiti and street art can be traced back to Brooklyn and its early hip hop scene of the late 1970s. 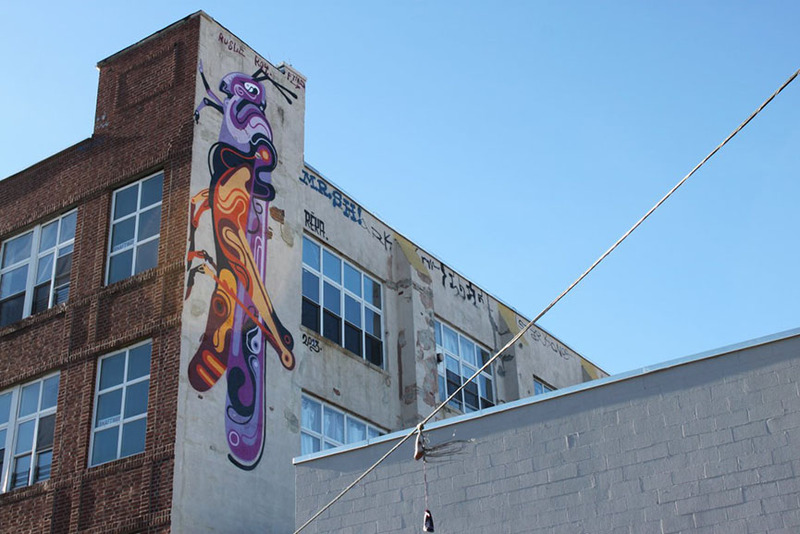 Over the years, the borough has seen an incredible evolution of styles and mediums, much of which is still on the walls, giving testimony to a rich history of graffiti wars, whether it’s the one between artists or the one between artists and the police. 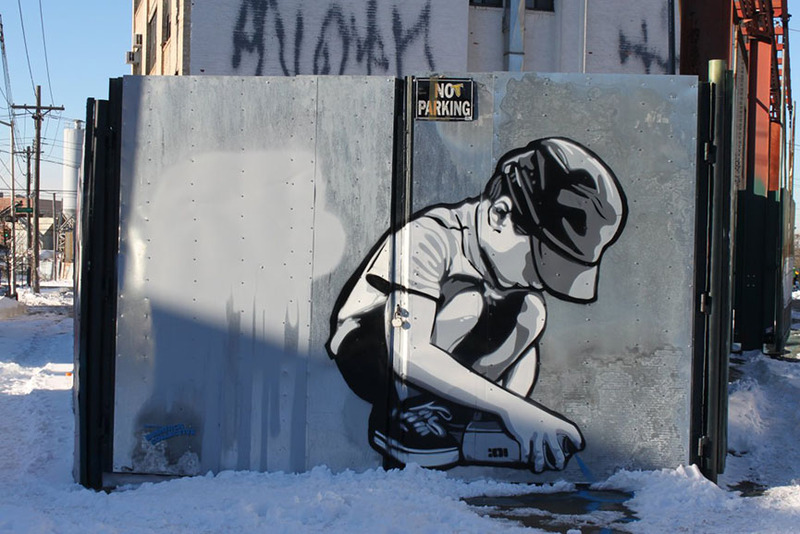 Today, Brooklyn graffiti scene represents one of the most unique locations in the world, featuring tags, throw ups, bombings, murals, wheat-pastes, stencils, graffiti, many commissioned projects spread across the neighborhood and belonging to its neighborhoods, such as Bushwick, Williamsburg, Red Hook, DUMBO and Bed-Stuy. 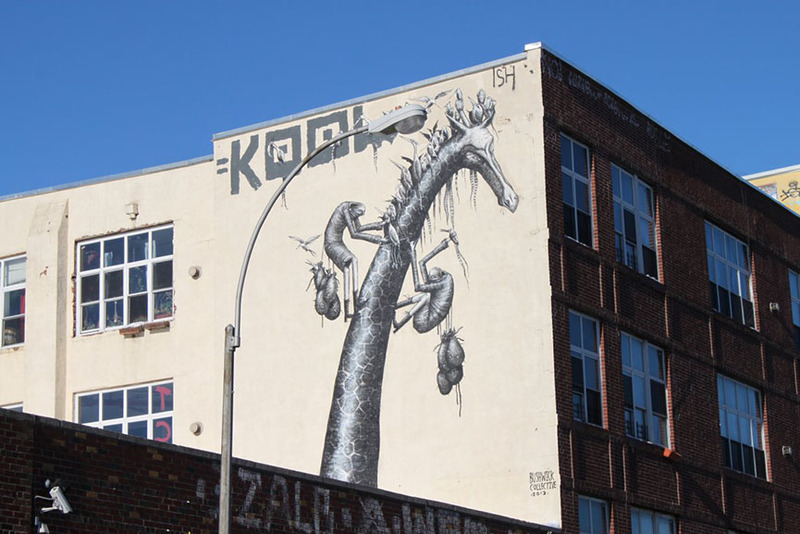 Brooklyn can be easily described as an industrial area which offered its empty warehouse buildings as canvases for street art and design, opening itself up to a new wave of cultural revolution. 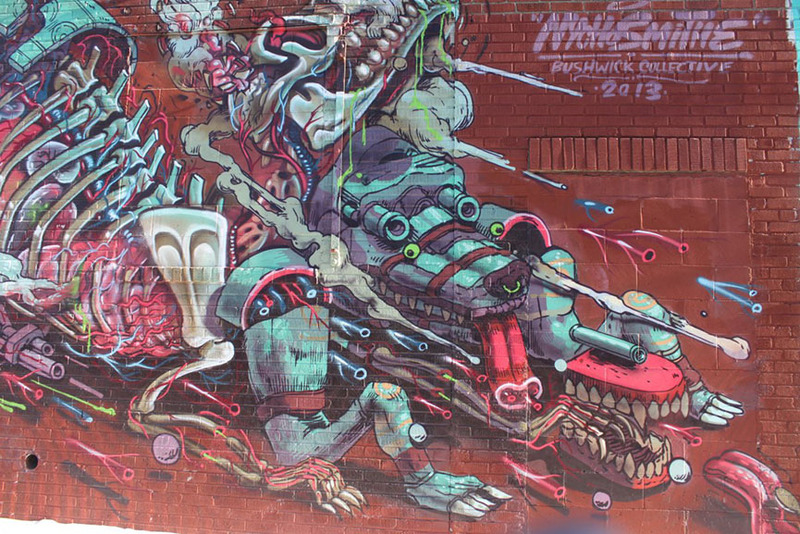 One of Brooklyn’s best street art neighborhoods is definitely DUMBO – short for Down Under The Manhattan Bridge Overpass. 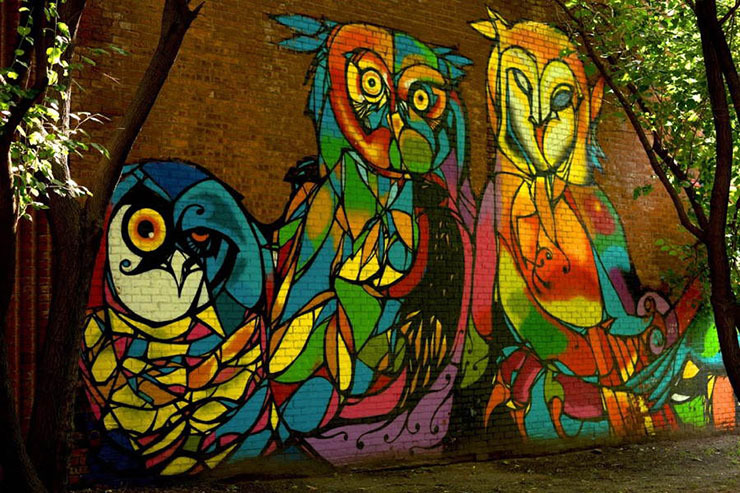 This versatile location got an amazing street art makeover in 2013, when the DUMBO Improvement District, in collaboration with the New York City Department of Transportation Urban Art Program (NYCDOT), Two Trees Management Co and the Jonathan LeVine Gallery, organized the DUMBO Walls project. 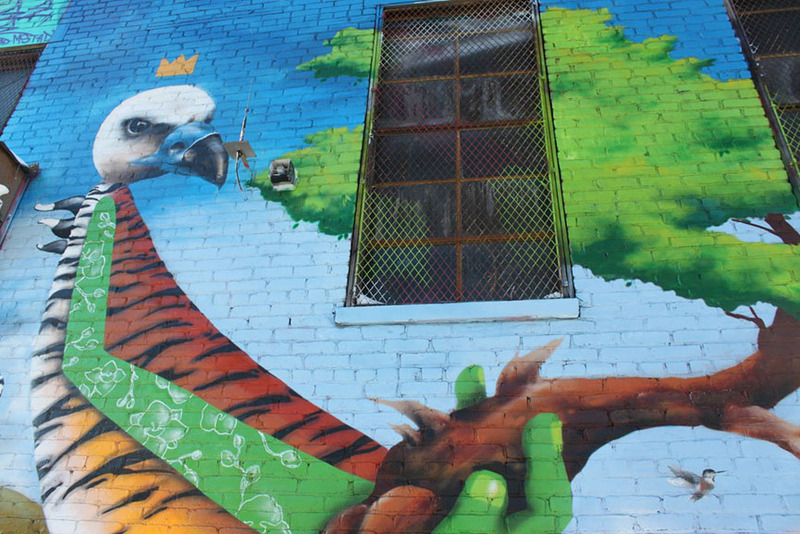 Using brick walls as canvas, eight internationally renowned street artists painted eight different murals, which surely made the neighborhood into the vibrant waterfront mural destination and the beautiful street art mecca that it is today. 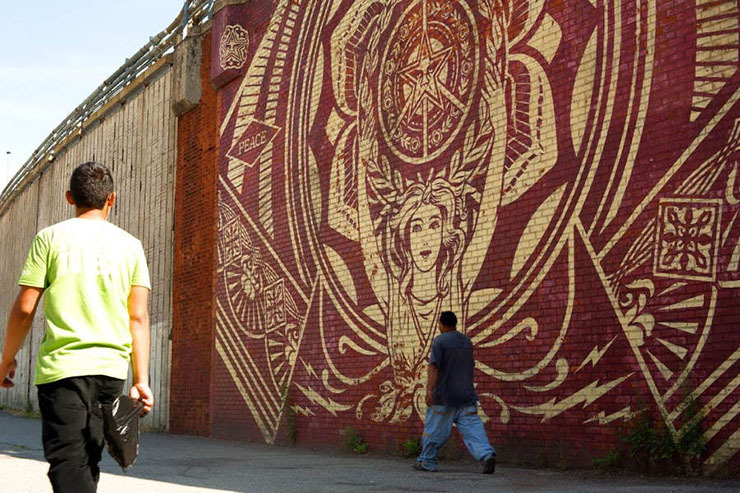 There, within the four-block radius, you can find the amazing works of CAM, DALeast, Elton, Shepard Fairey, Faith47, MOMO, Stefan Sagmeister and Yuko Shimizu. 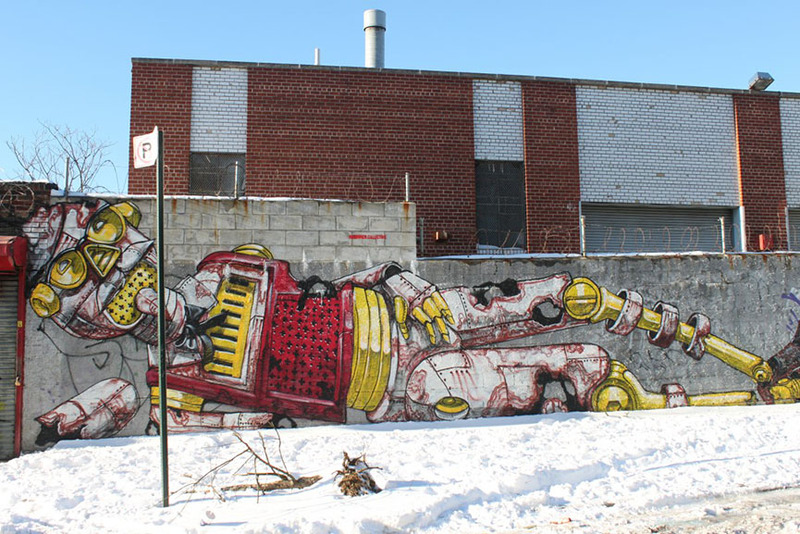 If 5Pointz was the graffiti heaven for Queens, then that’s The Bushwick Collective for Brooklyn. 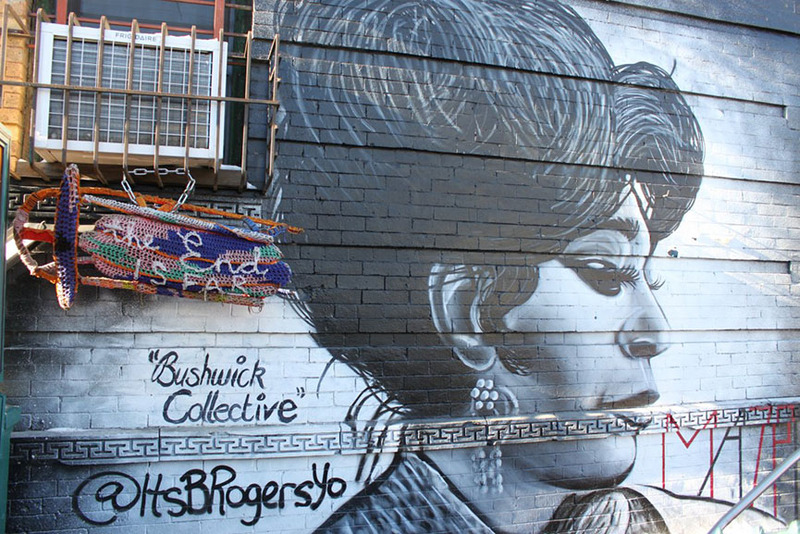 This vast outdoor art gallery dedicated to street artists, graffiti artists and all enthusiasts emerged as the vital point of Brooklyn graffiti scene. 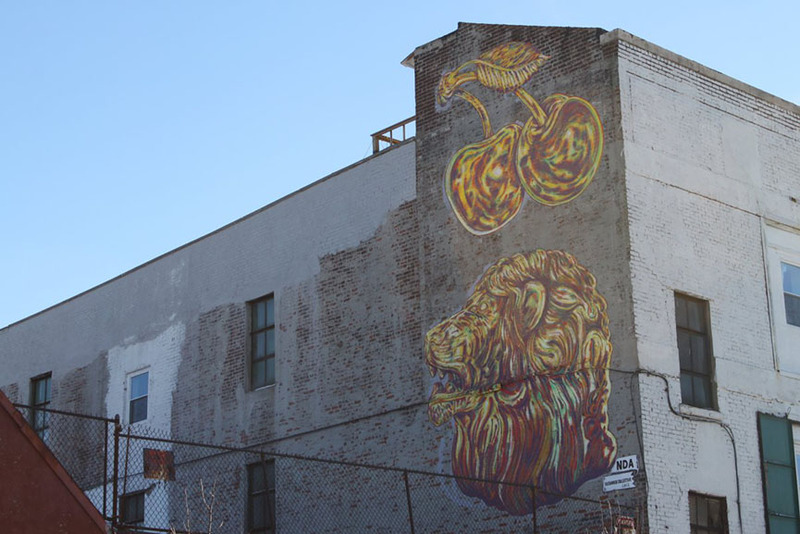 Founded in 2012 by Joseph Ficalora, a longtime Bushwick resident, provided empty walls for street artists around the world, including for example Iranian artists Icy & Sot, Olek from Poland or Reka, from Australia. 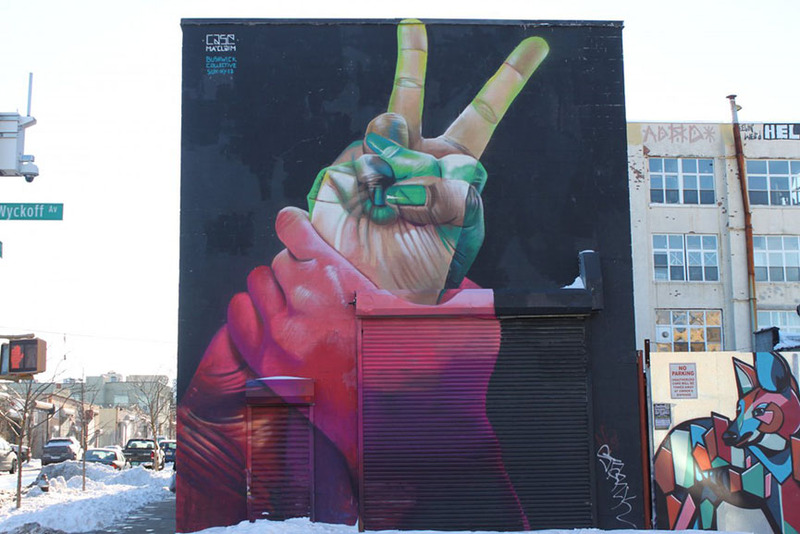 Spontaneously, Ficalora became the curator of more than 50 murals gracing the buildings in Bushwick, providing a creativity space for those who can no longer find their place in other boroughs. 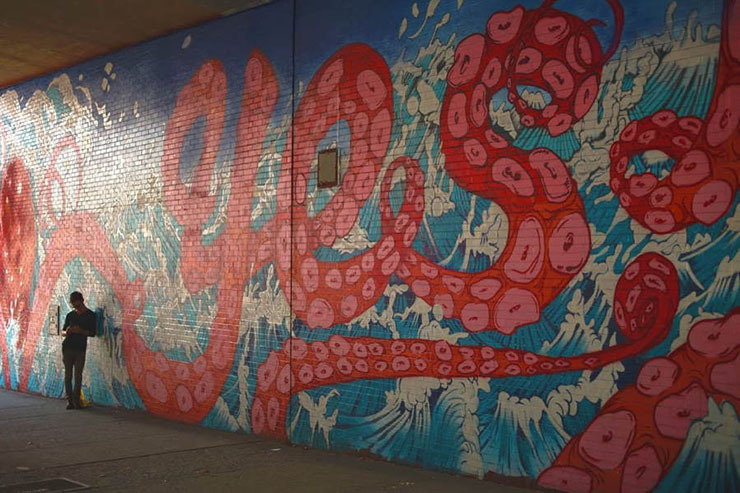 But not just anyone can come and paint at The Bushwick Collective: the artists need to send over three of their works for evaluation and once they’re approved, they can show off their skills on the Bushwick walls. 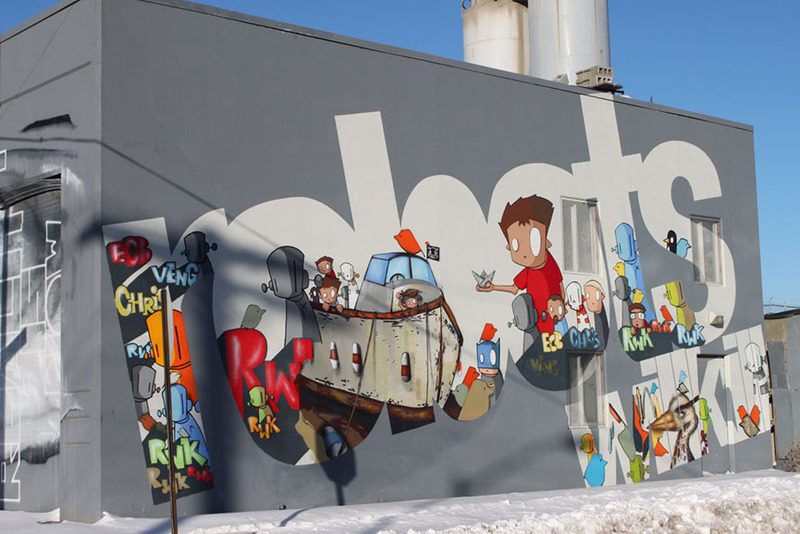 When it comes to Brooklyn graffiti, then this place holds an impressive archive of street art of the entire city of New York, hopefully for many years to come. 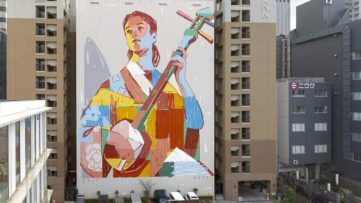 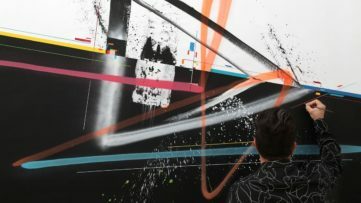 For more graffiti and street art, sign up for My Widewalls and get your favorite content for free! 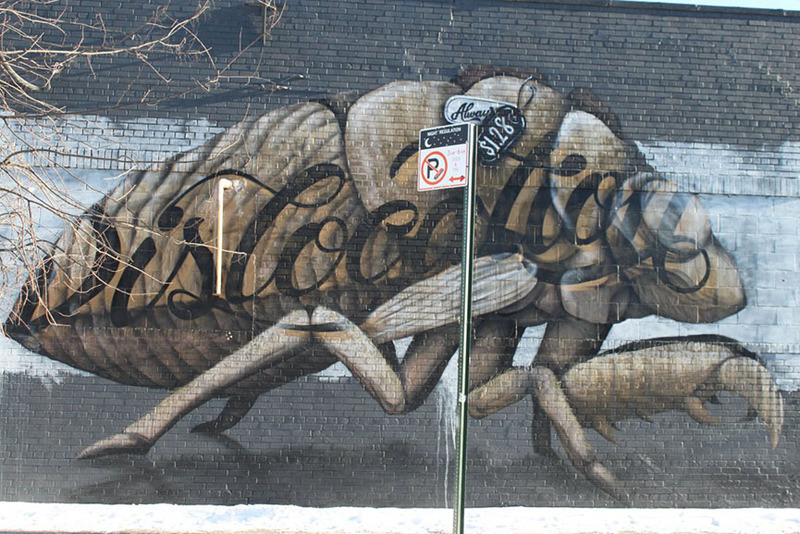 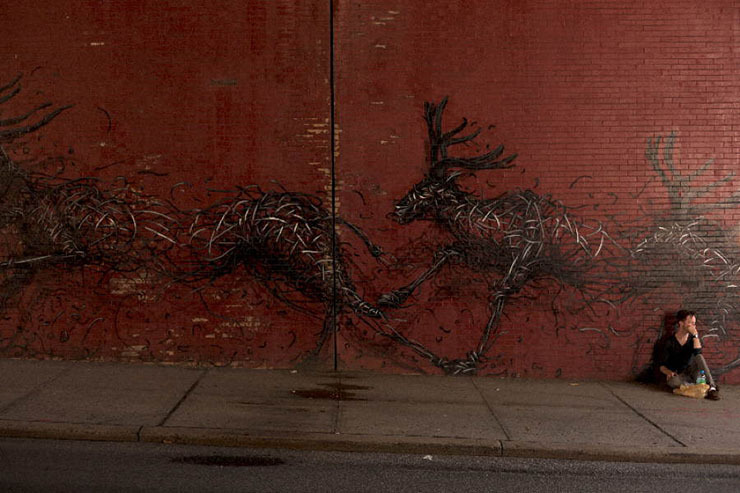 Images in slider: The Bushwick Collective street art, courtesy of the Business Insider. 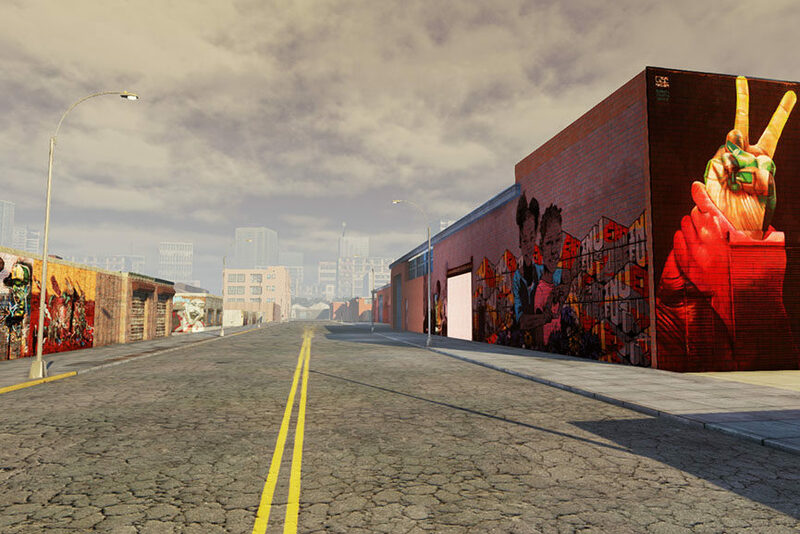 All images used for illustrative purposes only.